SpreadBettingPortal.com > FAQs > What is margin in spread betting? In a nutshell margin in spread betting refers to the amount of funds that must be placed in a spread trading account before it can be used to open a trade in a certain market. Margin provides spread traders with a key advantage compared to traditional shares dealing. 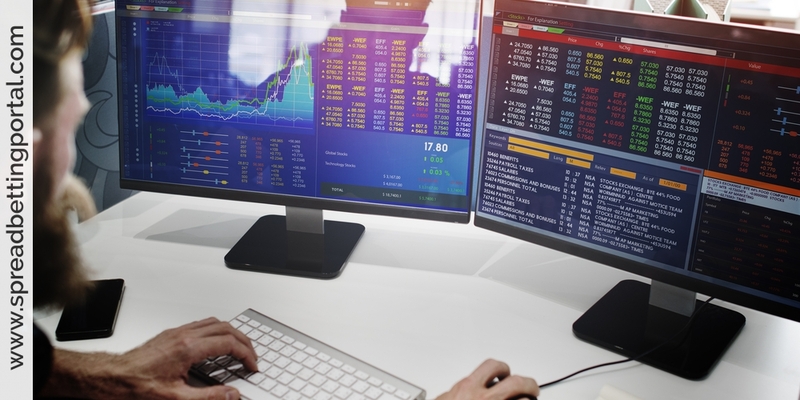 As opposed to other forms of financial speculation which usually require a trader to pay for the full value of their market exposure, financial spread betting providers allow you to trade with a fraction of your position’s total value in your account. In effect margin trading is similar to taking a margin loan to buy stocks. 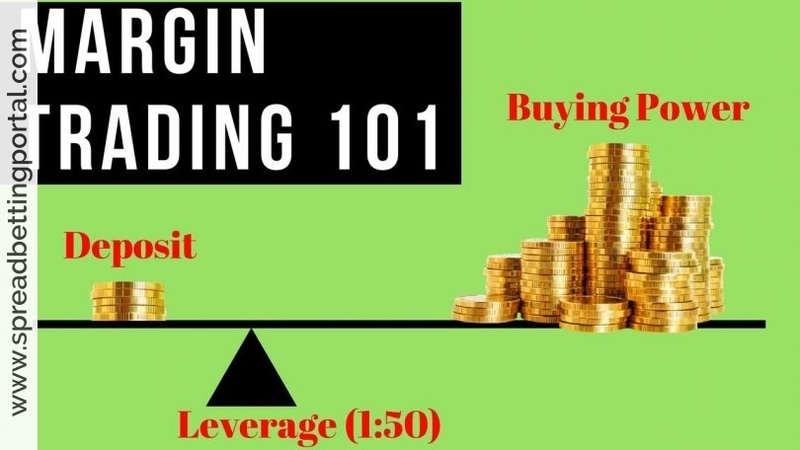 When you trade on margin, you are technically borrowing money from the spread betting provider because you are trading a much bigger position than what you would normally trade and you are only putting upfront a small portion of the total market exposure. Low margins are particularly important for day traders who bet over very small price movements. But what is leverage? Most of us are familiar with the property market. A person buying a home for £200,000 may only have to put down a 20% deposit (£40,000) and get a mortgage from a bank for £160,000. If the property’s value were to rise by 10% to £220,000, the value of his equity in the house has increased by 50% to £60,000. Likewise, if house prices fall by 10%, the property is now worth only £180,000 and the equity is halved to £20,000. That is exactly how profits (and losses) are magnified in a spread bet. Because spread bets are leveraged transactions, investors only need to put down a fraction of the value of the trade. Typically this is 10 per cent, although it can be lower than this for liquid markets (i.e. investments with a lot of trading activity) such as for foreign exchange trades on currencies. This means that speculators can make more, whilst putting down less money as they can trade often 10, 20 or 30 times the size of their deposit; but of course they can also lose more. Trading on margin also has the potential to magnify both profits and losses and these can quickly exceed the initial deposit – this also means that controlling a larger trade size with a small deposit means more risk. That is true whether a spread trader decides to go short or long. The investor deposits a proportion of the value of the market position and the spread betting provider loans the rest. 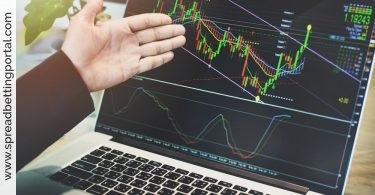 For instance, if a spread trader buys £5,000 worth of shares via a traditional stock broker, he has to pay the full £5,000 value to acquire the shares. In contrast, if you open a financial spread trade worth £5,000 with a spread betting firm, you would only have to pay between 5% and 15% of the total value of the position – or £250 to £750 to open this trade. This deposit, required for each open trade on your account, is commonly referred to as the margin requirement. Less liquid, smaller or more volatile shares usually require more initial margins, sometimes up to to 25% or even 50% of the real exposure. For indices the margins may be a set amount per point. So a spread betting provider might offer the UK 100 (FTSE) with a minimum margin of £40 and enforce a minimum margin of £80 on the Wall Street. If you want to bet on the FTSE, say betting £10 per point, you would simply multiply the £40 by 10. So, if betting £10 per point on UK100, a client must have a minimum of £400 available on the account. To open a spread betting trade you will need to hold in your account sufficient funds to cover the margin requirement. You must also maintain the margin requirement deposit level in line with any gains/losses incurred in your account. 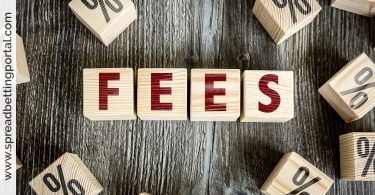 If your margin deposit level goes below the margin requirement you will be asked by your spread betting provider to deposit more funds or some or all of your positions may be closed. Because only a small deposit is needed to open a spread bet, many beginner traders use up their margin with a single opening trade if the market starts to go against their position – this is bad practice as it doesn’t leave much room movement for price movements. Note that margin is there to help you leverage your gains, however you should use margin responsibly and make sure you never overstretch your financial capacity. Many spread traders use up their full margin to open a single spread bet and in this way they expose themselves to the risk of ruin. By placing just one sizable spread bet in one market, success or failure depends on just the movement of that one market. 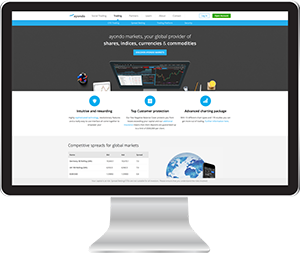 By opening multiple spread trades across diverse asset classes traders can help diversify their risk. To avoid having your open trades closed out, make sure that you always have ample monies in your trading account, over and above the minimum margin requirement to open the position. Also, make sure to always use stops. P.S. It is a contractual obligation to meet margin calls so that’s pretty clear cut that they will close your position if you fail to deposit extra monies. They cannot close you out however if you meet the margin call. P.S.S. Beware that some spread betting providers may increase margins on short notice so that’s another reason not to be leveraged to the tilt. Having said that I heard someone mentioning that the margin with Cantor was going to 100% on GKP stock – ludicrous comment what is the point of that; you could just buy the stock outright, the concept of spread betting enables people to buy more stock for a % of the total, if these companies put the margins up then the business reduces, IG Index and Spreadex have just reduced their margins.